When I pressed “Publish” I was thinking “Finally!”. 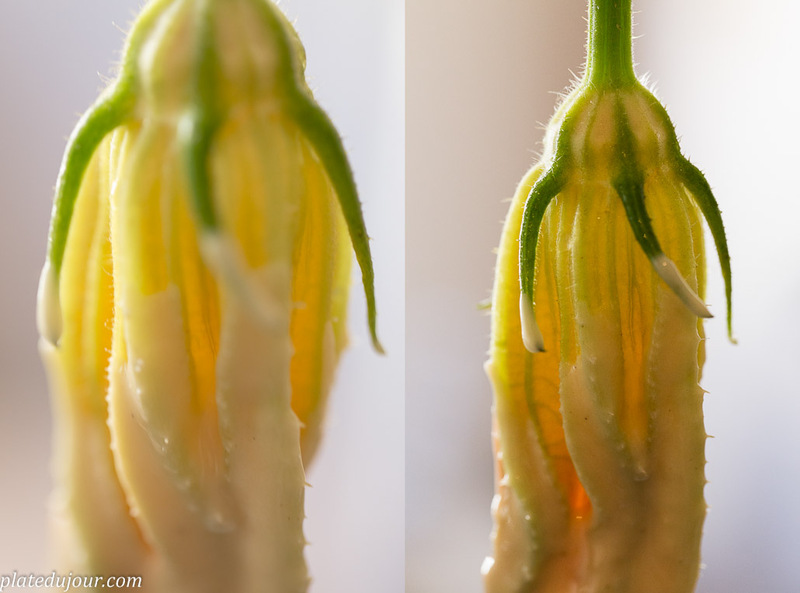 I’ve been working on this post for the last two weeks now, mostly due to the fact that flowers is a delicate subject…right?? In this case literally. Three attempts just to buy these flowers, bring them home and pray so they would last a bit longer than a few hours! The first two times- no way…Last Friday I said to myself that this was the last time when I tried to buy this thing, bring it home and fry it on the spot! Made it! And now seriously. 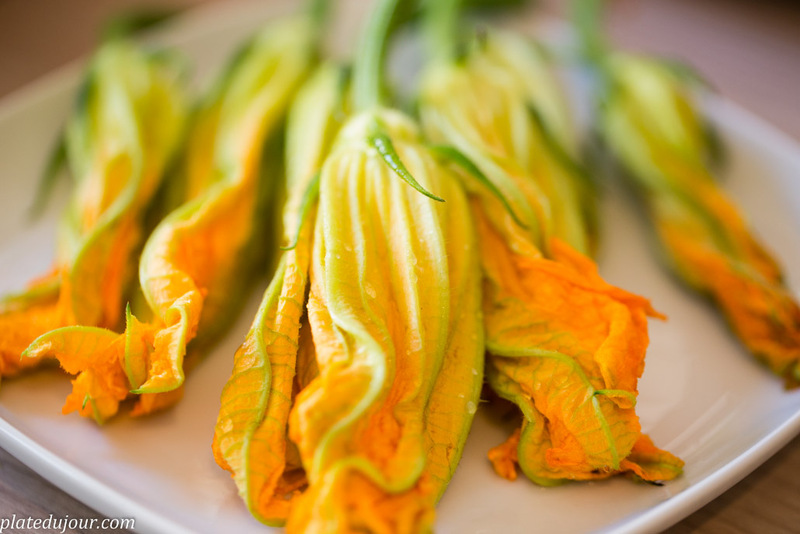 I discovered fiori di zucchine a few years ago, when I started going to Italy on a regular basis. Always to the North, in Dolomite mountains. 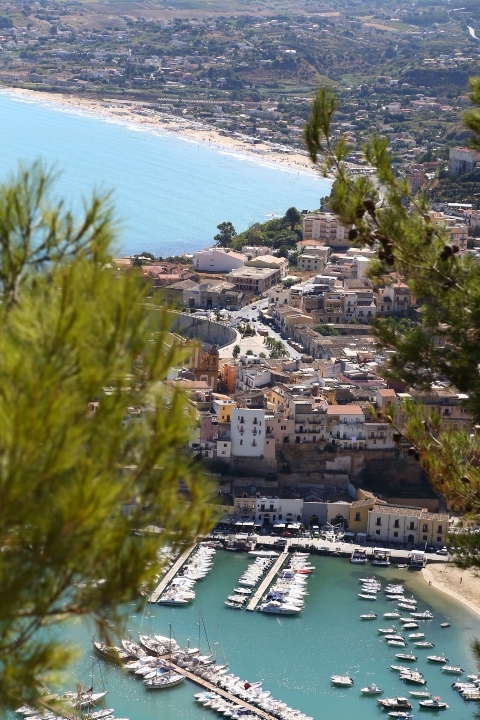 People down there have a different life style. It’s very simple, according to the seasons, the nature, to the sunset and sunrise. It was amazing to see that even if you’re in your 70’s or 80’s, you can still be fit, work physically and be in great shape. I remember that any time I was there in the summer time, my friend’s mom- very much in her 70’s!- was waking up early in the morning and she was going to the field to look for those flowers. For us. It was our favorite snack during the day. 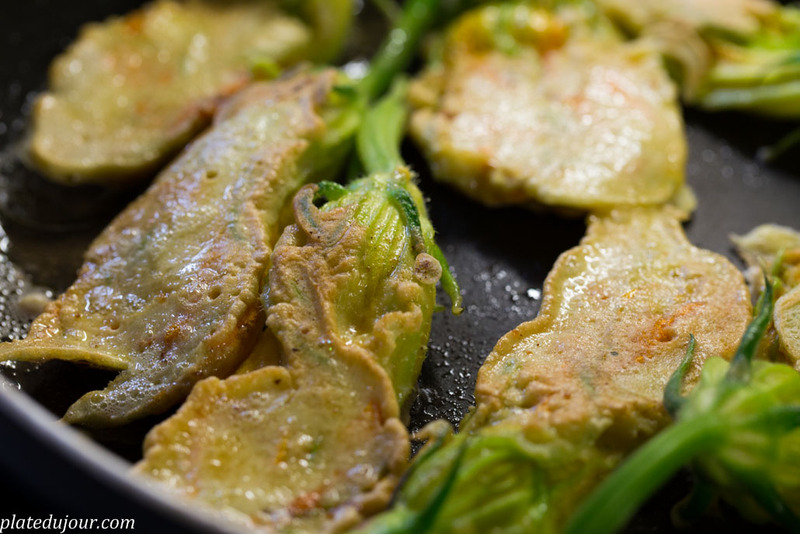 Sometimes when we were back home late in the evening, fiori di zucchine were waiting for us- she would save some aside! With time I noticed that there were two ways of making it, and I love both of them. I guess it’s a matter of personal preference so I decided to share both of these methods here with you. 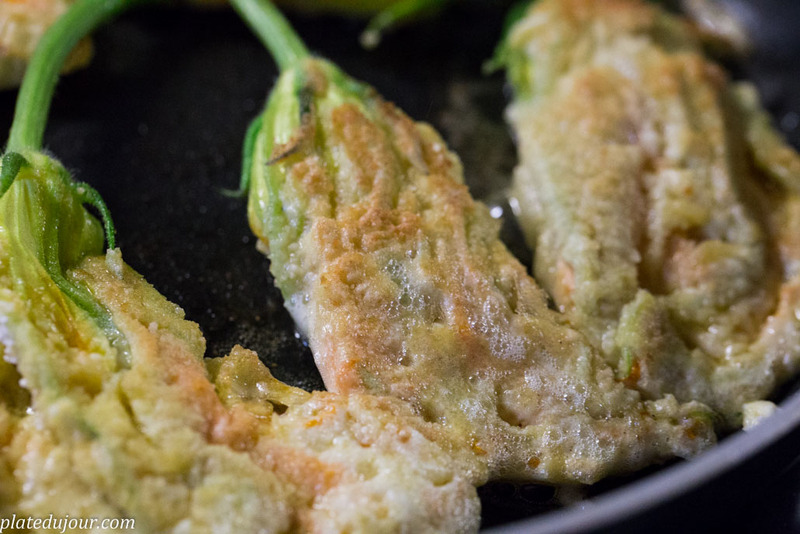 Prepare the zucchini flowers first- wash them gently and place them on a paper towel for a few minutes. 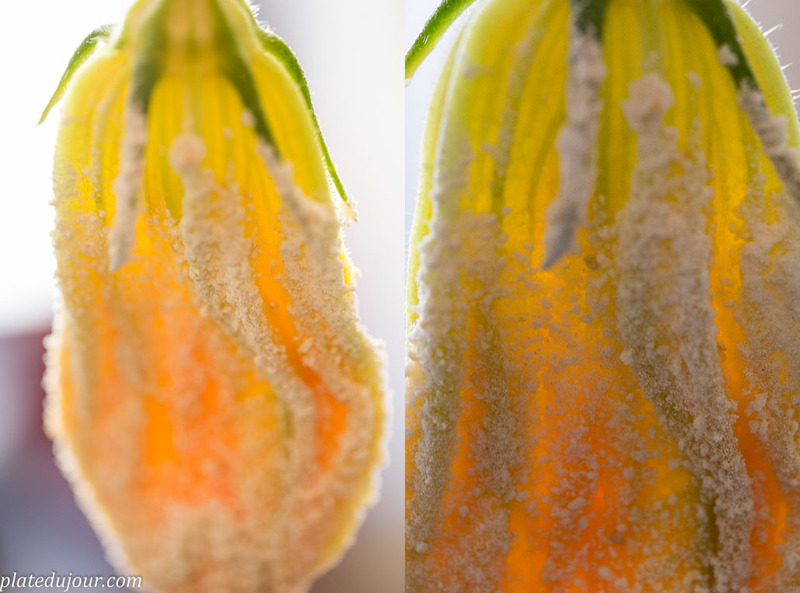 No need to remove anything from the flower- no need to cut it or I don’t know what else could come to into your mind. You eat them as they are- I don’t eat the green thing though. 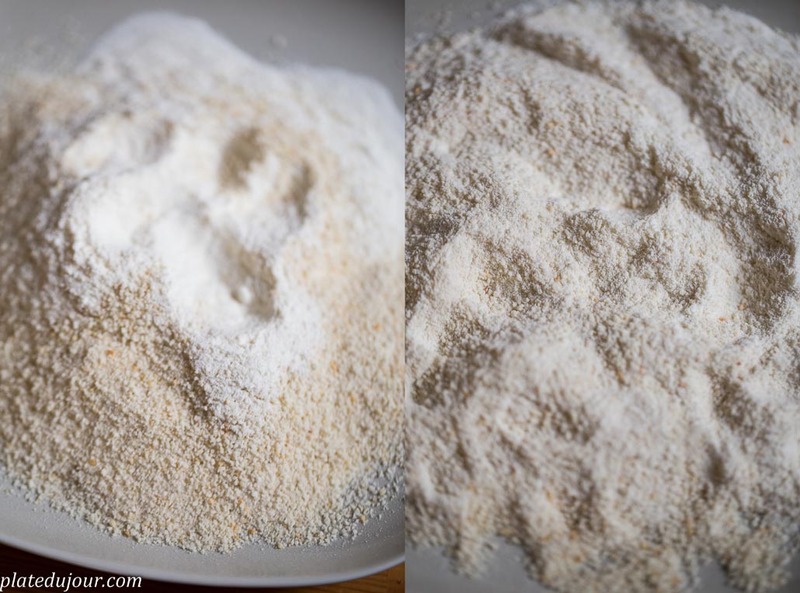 In the meantime combine together bread crumbs with flour and beat 1-2 eggs in a glass bowl. Add some salt and black pepper. 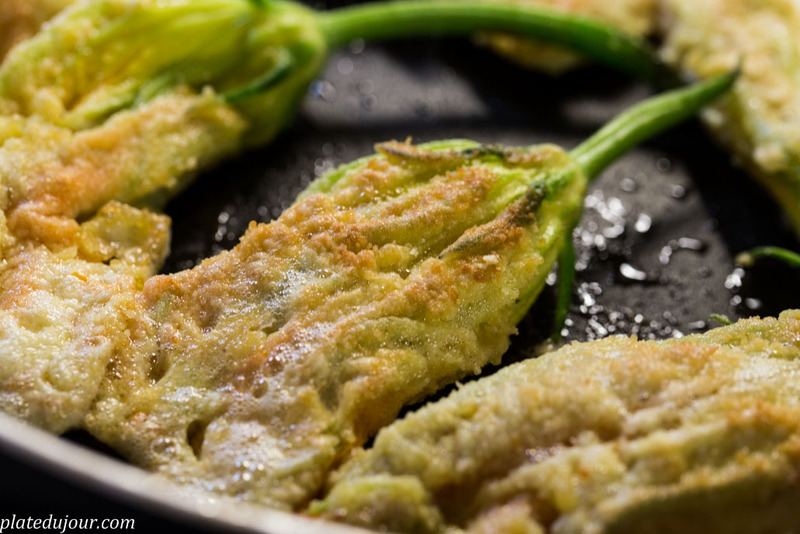 Heat some olive oil in the frying pan. 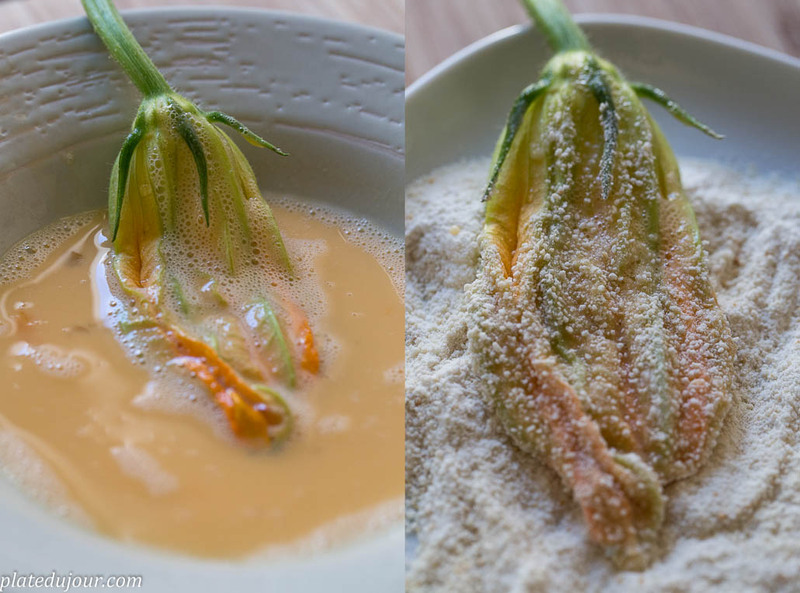 As a next step dip each flower into the egg, then dredge it in the breadcrumbs and flour, until evenly coated. 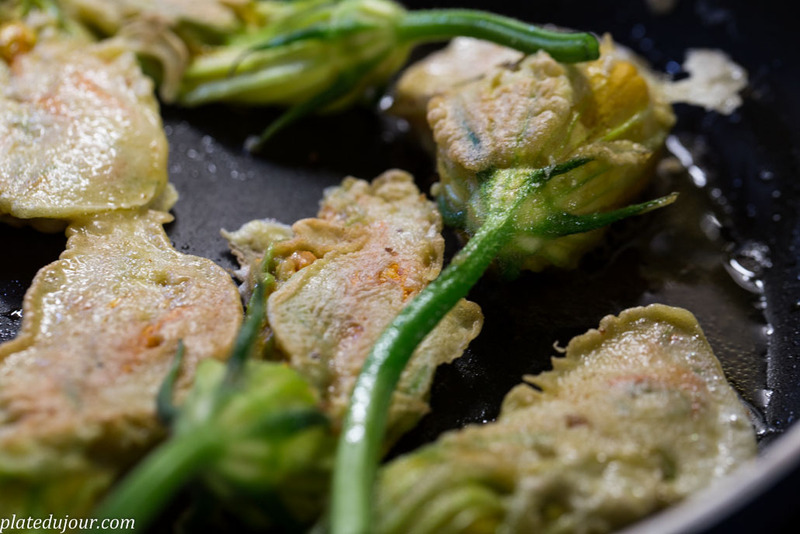 Fry each flower for about 2-3 minutes on each side. It’s ready! They are the best when still warm. 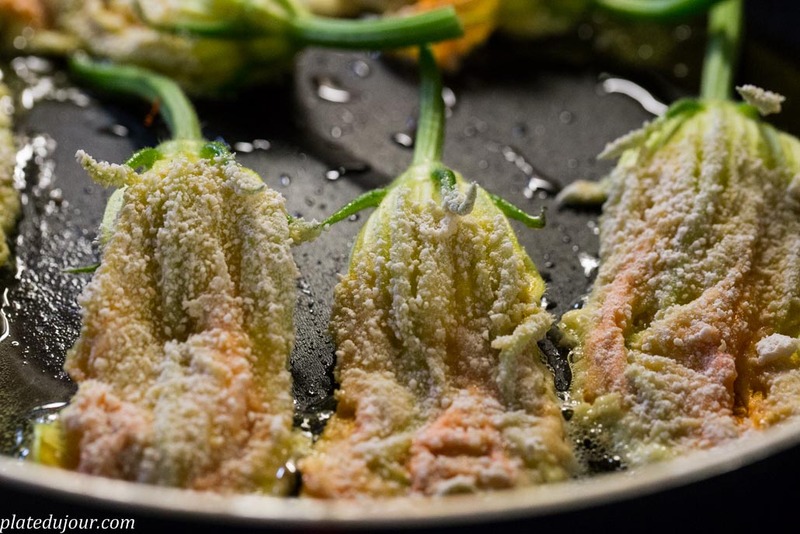 Prepare the zucchini flowers first- wash them gently and place them on a paper towel for a few minutes. As I mentioned above you eat the flowers as they are. 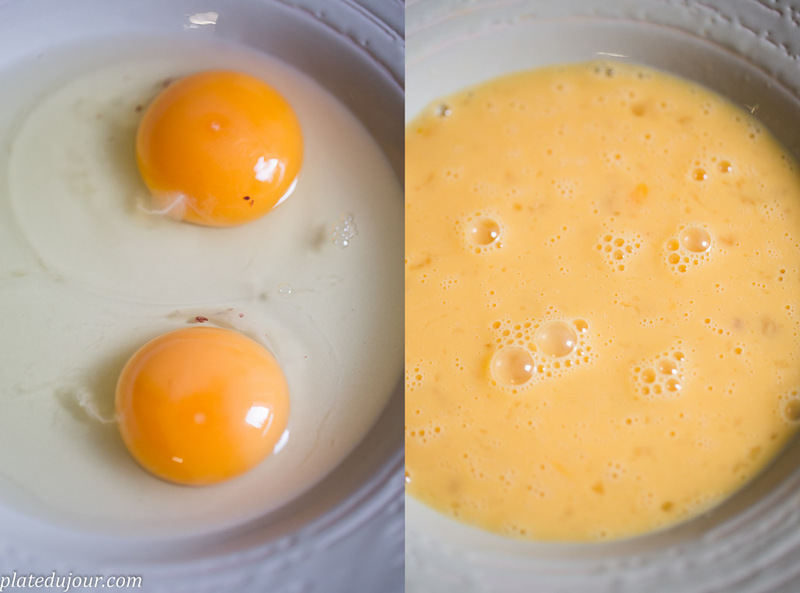 In a glass bowl beat 1 or two eggs and add some flour. 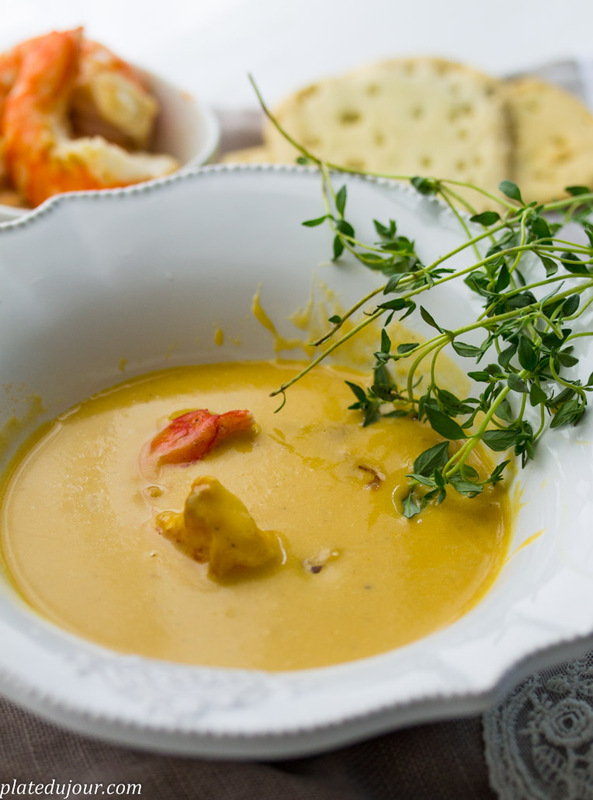 Combine both ingredients until smooth. 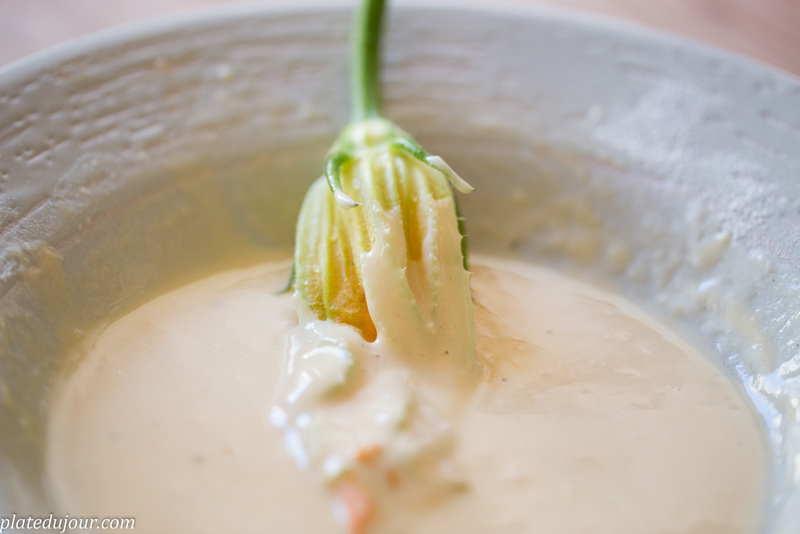 As you can see on the pictures below, it’s a kind of crepe dough. It should be rather thick in the end. You can also add some water if necessary. Don’t forget to add some salt and black pepper. 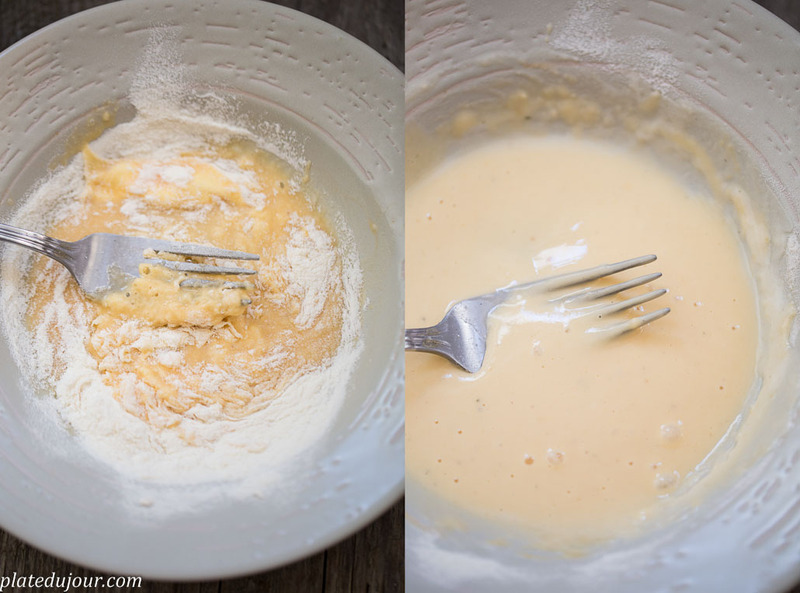 Once the dough is ready, repeat exactly the same process. 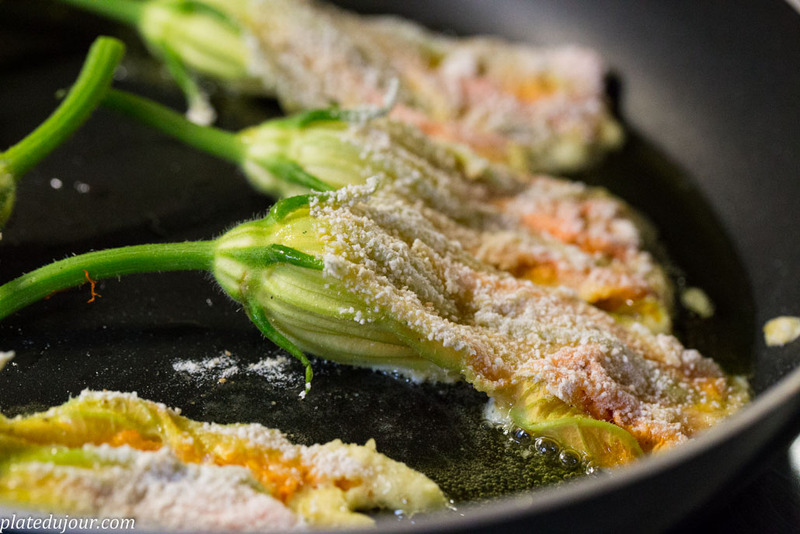 Dip the flowers into the dough, make sure each flower is coated evenly. 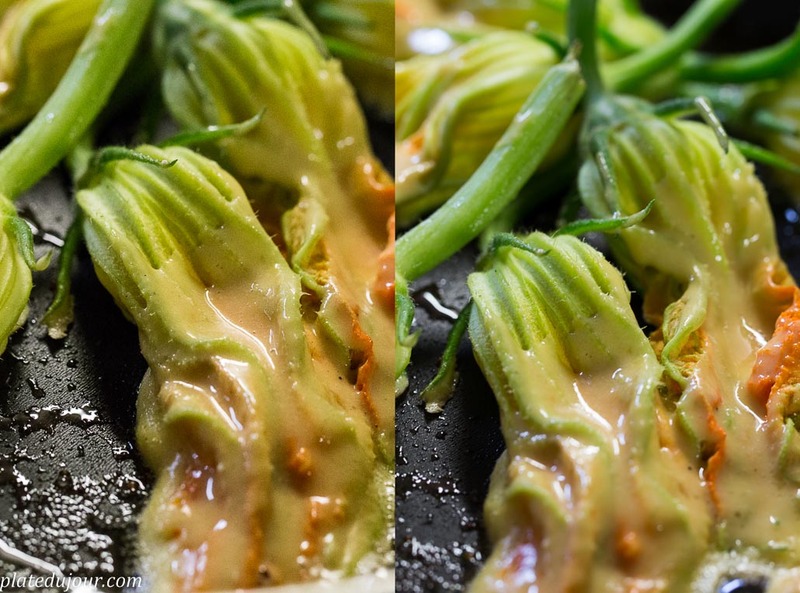 Fry it for 2-3 min on each side. And it’s ready! Eat when still warm.